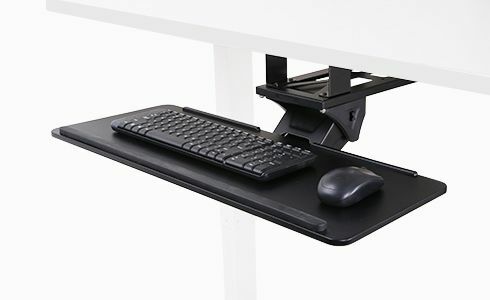 It features a large platform that is enough for both keyboard and mouse with a wrist rest for maximum comfort while typing. 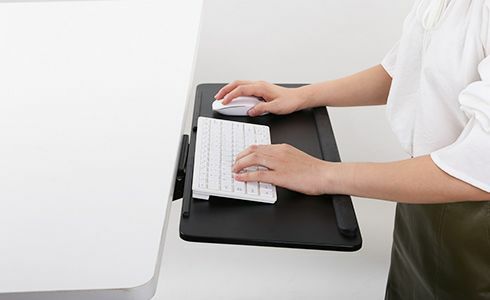 The keyboard tray provides the best position for your wrists and arms, whether sitting or standing. Stave off chronic pain and enjoy a healthier, happier workspace! 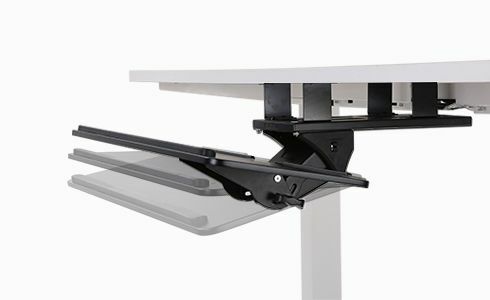 Lift/Release function and Positive/negative tilt are supported, making it easy to adjust the tray to the perfect position for you. 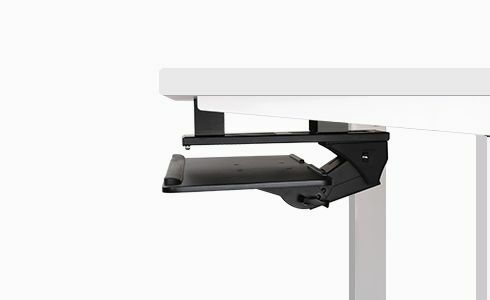 Slides under the desk allow you stow the keyboard tray completely underneath the desk when not in use.